This spring, well-known Philadelphia musician and sound designer Michael Kiley will release the first in a series of immersive, iPhone app-directed “sound walks.” Presented under Kiley’s moniker The Mural and the Mint,The Empty Air: A Rittenhouse Square Sound Walk combines music, environmental sound and mobile devices for a new kind of music experience. The location-based composition was designed for Philadelphia’s Rittenhouse Square and will be available via iTunes beginning April 5. 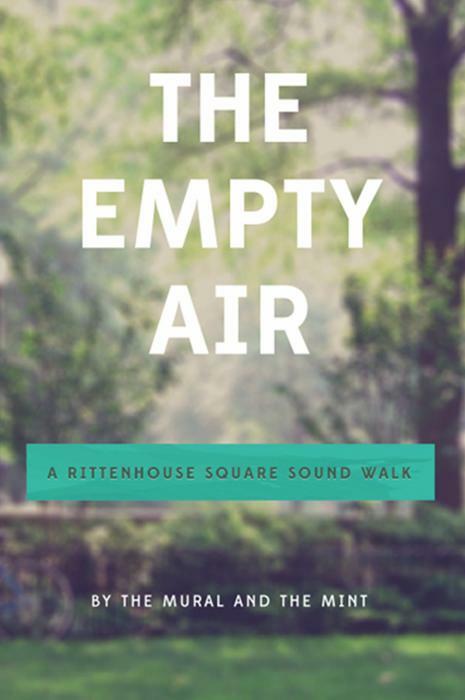 The Mural and the Mint to celebrate launch of The Empty Air: A Rittenhouse Square Sound Walk with free informal performance at the Philadelphia Art Alliance, April 5 at 8 p.m.
Friday, April 5, 8-11 p.m.